Four Hundred Fifty Million people…which means that it’s likely that many people close to us suffer with mental health conditions. Sixty Percent…which means that people we love are not getting the care they need to live their best lives. 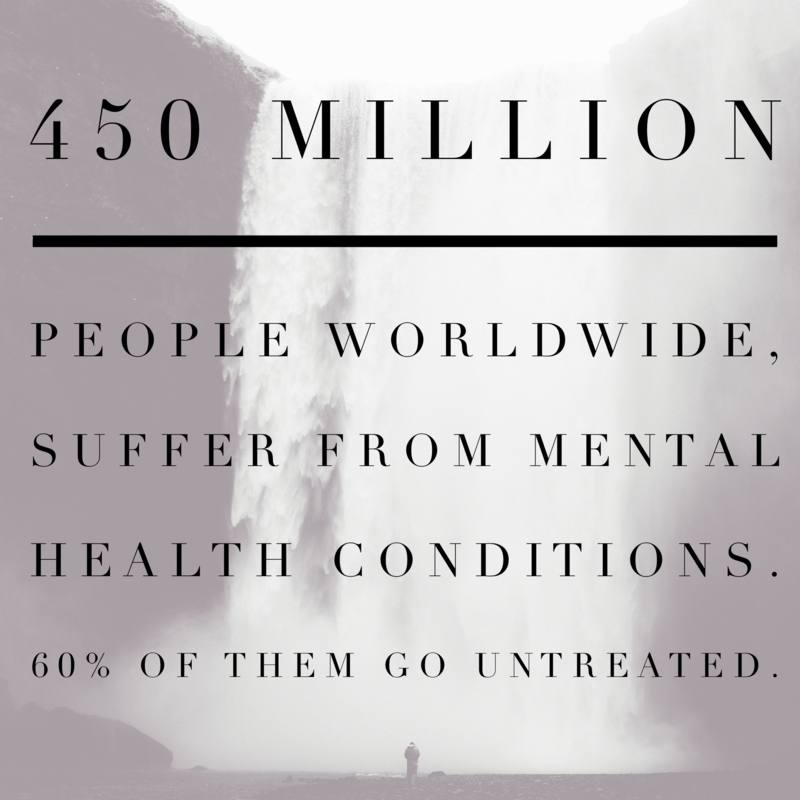 May is Mental Health Awareness Month, and we at The Cupcake Girls are not only deeply angered by these stats, we are committed to doing something about it. Weekly monitoring and evaluations on their identified mental health issues where we talk through, and help decrease, symptoms being experienced.We refer them to qualified and vetted mental health professionals in order to receive the best care possible, at their discretion, and on their timetable.We are unique in that we are sensitive to our clients and acknowledge that they may not want to engage in mental health services. We don’t force them to obtain care. Instead, we suggest options for treatment & support, we form a relationship with them, and we encourage techniques to work through the symptoms they are experiencing.We create opportunities for our clients to explore non-traditional practices like yoga and learning about essential oils to help anxiety symptoms.We provide support groups to help them feel less isolated when experiencing depressive symptoms.We model our core values: Love without Agenda, Engage with Humility, Act with Integrity, Invite Innovation, and Pursue Holistic Balance with every client we have the opportunity to work with. Stop the stigma. Mental health is as important as physical health, and it can affect anyone.Stay informed on mental health conditions.Share this blog.Are you a mental health care provider in Las Vegas, NV or Portland, OR? Join our other partners and help us provide even more clients the care they desperately need! Donate to The Cupcake Girls here, or to other organizations doing important work to help combat this issue and fight for those who cannot fight for themselves.